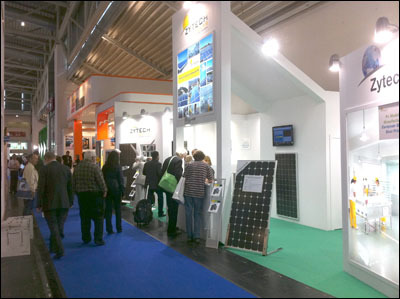 Zytech Solar, the Spanish manufacturer of photovoltaic modules, will present its photovoltaic products and systems at the Intersolar 2011 International Fair, which will be held at the New Munich Trade Fair Centre from 8 to 10 June. Zytech Solar will take the opportunity to present a new high efficiency 125 mm x 125 mm, 72 cell monocrystalline module on its stand (Hall A4, stand 139), initially it will have three versions: the ZT200S High . New Munich Trade Fair Centre. 8-10 June. Hall A4, stand 139 Zytech Solar, the Spanish manufacturer of photovoltaic modules, will present its photovoltaic products and systems at the Intersolar 2011 International Fair, which will be held at the New Munich Trade Fair Centre from 8 to 10 June. 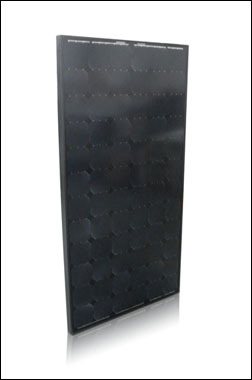 Zytech Solar will take the opportunity to present a new high efficiency 125 mm x 125 mm, 72 cell monocrystalline module on its stand (Hall A4, .